Traditionally, First Person Flying was complex, costly and time consuming, but with the new SpyHawk FPV all the hard work is done. Simply glue on the tail pieces with the included glue, charge the battery, and go flying! The SpyHawk is made of crash resistant foam and it's built in stabilization system makes it perfect for beginners and experienced R/C Flyers alike. 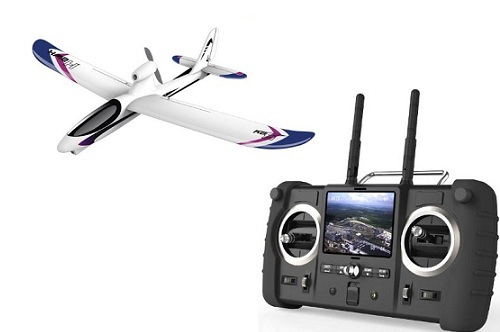 Version 3 includes updated servos, larger elevator, better cooling, selectable video frequency, remote arming of gyro, and the ability to control recording from the transmitter.